Coral Travel, which started operations in Georgia in 2013, invited the press members to Antalya on 1-3 September. 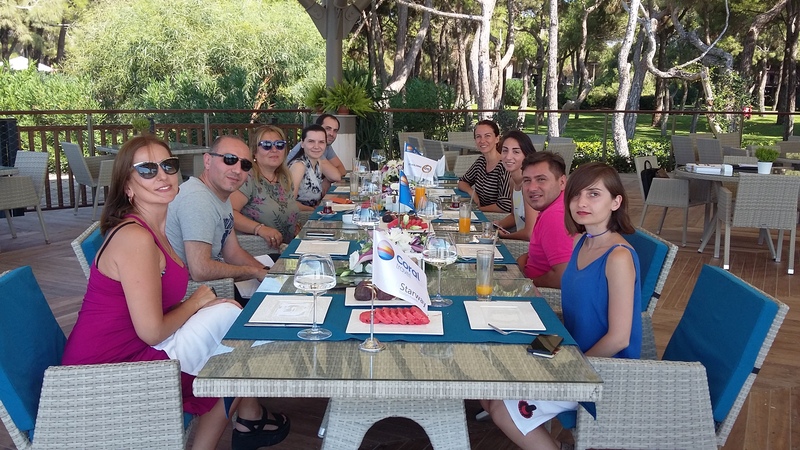 They were very impressed by their stay in Xanadu Resort Hotel and the natural and cultural diversity of Antalya. In the press meeting headed by Maria Badalova, Coral Travel Georgia Director as the spokesperson, it was announced that Coral Travel has grown by 2.5 times in Georgia in its first 2 years. Having given foreign holiday services to 8,407 people through package tours in the year 2014, Coral Travel raised this figure to 20,502 in the year 2015. ODEON Tours of OTI Holding gives the inbound services in Turkey, Egypt and UAE that are the main destinations of Coral Travel Georgia working with 430 agencies across the country. Coral Travel also sends tourists to Sri Lanka, Jordan and India from Georgia. The journalists have visited Expo, Kaleiçi, shopping malls and OTI Holding head office.